Tetsuya Komuro is one of the country's most prolific pop artists. Another month, another celebrity controversy in Japan. 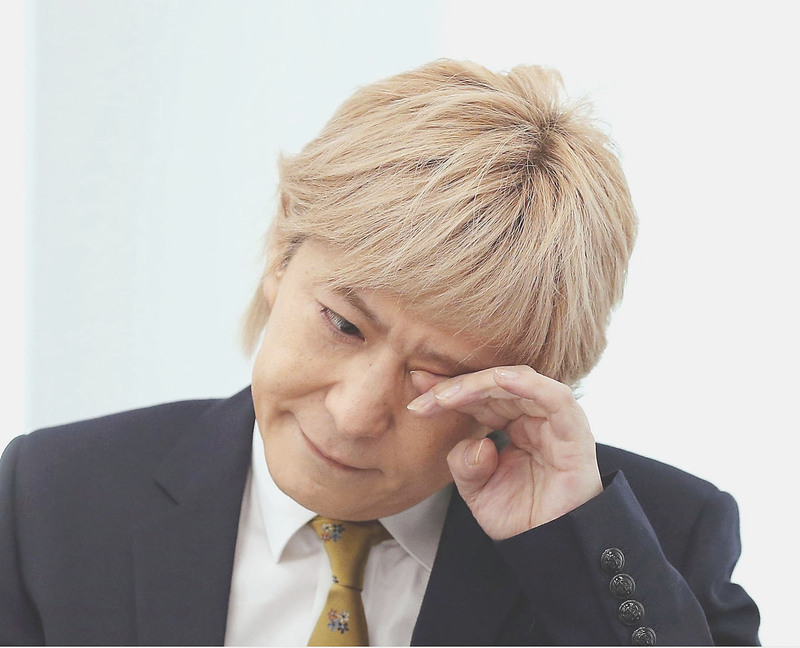 This time, however, the commotion over J-pop producer Tetsuya Komuro’s alleged affair and subsequent retirement might mark the moment that netizens rejected the country’s obsession with scandals. It also allowed those who might fall under the media spotlight a chance to fight back. On Jan. 17, weekly magazine Shukan Bunshun reported that Komuro had been involved in an affair with a nurse from a clinic the producer consulted to receive garlic injections, a vitamin-based treatment used to recover from exhaustion. Komuro, one of the country’s most prolific pop artists and producers, has been married to Keiko, lead singer of the band Globe (of which Komuro is also a member), since 2002. Keiko suffered a stroke in 2011, and Komuro has been caring for her ever since. Two days later, Komuro convened a press conference during which he announced his intention to retire from the industry following the report. Online reaction to the Komuro story, however, was mostly negative. 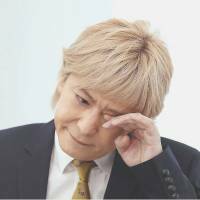 Users of 2chan expressed shock that he had to retire following the publication of the story, with some chiding the sleazy nature of Shukan Bunshun’s reporting. The anger extended to Twitter, where users zeroed in on the publication’s tendency to make others unhappy to sell magazines. When Shukan Bunshun’s scoop-centric account posted a video summarizing the scandal, it achieved “the ratio” an unofficial Twitter law positing that if the amount of replies to a tweet outnumbers the amount of retweets and likes, then the tweet is bad. More than 4,300 people responded to scold the publication or hit them with funny pics. It’s a reversal of previous scandals exposed by Shukan Bunshun. Netizens gobbled up info about Becky and Kawatani, for example, and the weekly mag capitalized on the public’s interest. The magazine usually has a photo stand at video site Niconico’s annual Chokaigi event that plays on its reputation as an expose-producing juggernaut. However, Komuro was arguably too sympathetic a target for many. His story fell against a complicated backdrop of his wife’s illness. Komuro cared for her, but reports indicate that it took a toll on him too. A tweet by X Japan’s Yoshiki expressing concern for his friend only won more people over to the producer’s side. Komuro was also well-respected — netizens had mocked Becky and Kawatani well before their scandal — and a current wave of Heisei Era nostalgia doesn’t hurt. His Instagram post announcing the news was met with hundreds upon hundreds of sympathetic comments. Compare such support to any tweet or picture featuring Kawatani, which often inspire a flood of people to mock the singer. Japanese netizens appear to have turned against Shukan Bunshun and other scandal-baiting publications, at least for the time being. And joining them are a group of people with much more of a personal investment in the matter — celebrities and other public figures. It wasn’t surprising to see musicians such as tofubeats and Taku Takahashi offer support for Komuro. Both have worked with the superstar producer and grew up listening to his songs. Joining the chorus to condemn weeklies were baseball player Yu Darvish, politician Yoichi Masuzoe and Livedoor founder Takafumi Horie, among others. Maybe most striking, though, was Enon Kawatani’s response. His entire career was derailed by Shukan Bunshun, so seeing him come out swinging against weekly publications in the wake of Komuro’s retirement wasn’t surprising. (That said, many online said he was nothing like Komuro — netizens really loathe this guy.) A few days later, Kawatani’s band Gesu no Kiwami Otome. released a video for their latest song that further criticized Japan’s entertainment culture and also included some not-so-subtle digs at magazines. And it’s getting attention. Regular people online are condemning publications such as Shukan Bunshun and prominent figures are taking advantage of this to discredit one of the few outlets that has power to bring them down, should it choose to.